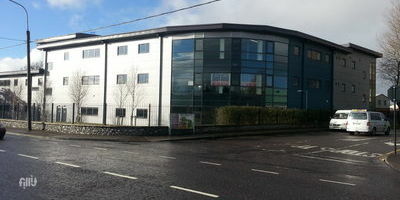 Serviced Office For Lease Unit 5 B, Liber House, Monavalley Industrial Estate, Tralee, Co Kerry. We are delighted to present the first letting of this modern, Grade A, air-conditioned, individual, ready to go office unit which measures circa 791 square feet. This unit is unique and perfect for start-up businesses and freelancers and provides an excellent business base. The rent includes the following: -	Complete with telephone line with individual telephone number. -	Free landline calls to Ireland and UK. -	Free broadband internet with WIFI in each office. -	All commercial rates paid. -	All light, heat and air-con included. -	Use of canteen & WC facilities. -	Lift to the office. -	Parking available. -	No minimum lease term! We can offer the premises on a weekly basis or as requested to suit the clients requirement.